Sophomore pitcher Brett Schulze wants to be a baseball coach one day and there’s no reason to think he won’t be. It may seem like a distant goal today, but he’s shown that he can cover those distances. As a high school player in Maple Grove, Minn., just northwest of Minneapolis, Schulze built a foundation of all-conference seasons before emerging as an all-state player his senior year. That caught the attention of Gopher coaches and earned him a scholarship offer from Minnesota. 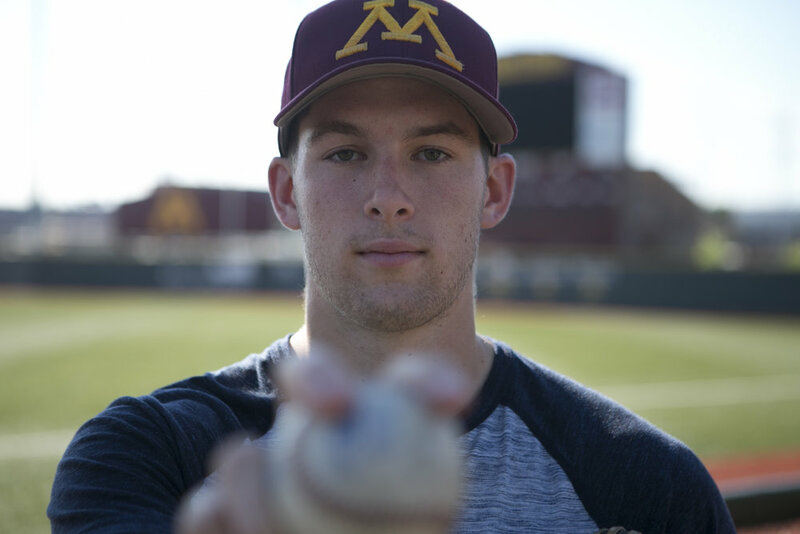 Though it seemed unlikely just two years ago, he’s now at the University of Minnesota, where he is learning how to build quality ballplayers and a strong program from one of the sport’s legendary coaches.